On a gorgeous sunny day, Foam Engineers insulated a house in the community of Rosebud, Missouri. The homeowner has been remodeling a vacant school house into his home and garage. The larger front portion of the school building will house the home. The gymnasium will remain the same, much to the delight of his son. The portion of the building in the back used to be the school shop. 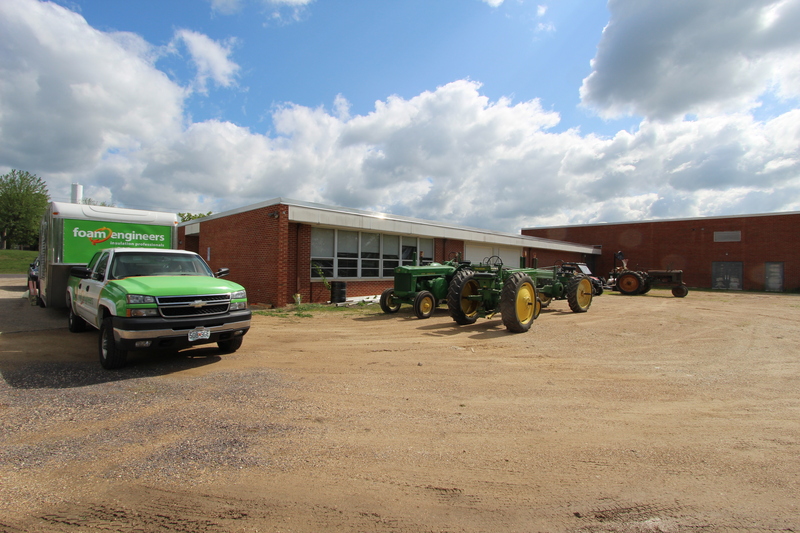 This space will be used to house the homeowner’s unique collection of antique tractors and farm equipment. He contracted Foam Engineers to create a custom insulation solution for his new home. Fiberglass batts were used to block the gap between the block wall and the roof. Foam Engineers then applied closed cell spray foam to the underside of the metal roof structure. This application created an air seal and insulated from the wall to the roof. Closed cell spray foam is very dense and offers high R-values per inch of product. 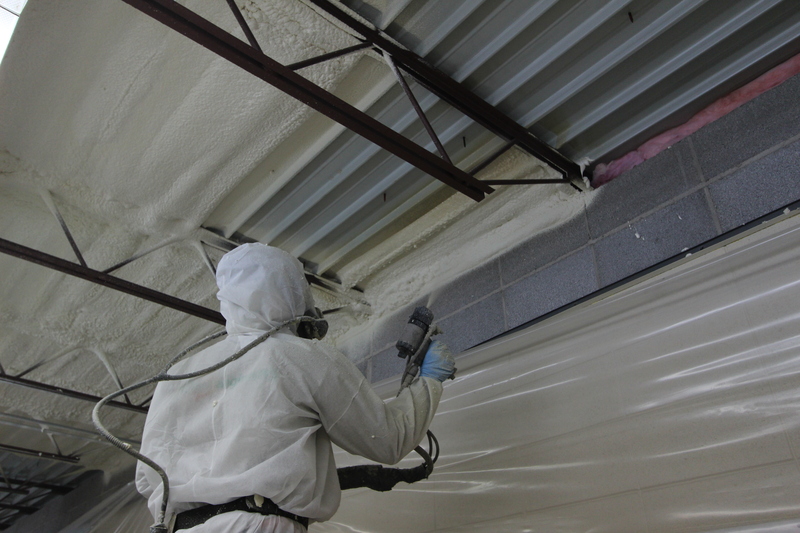 Foam Engineers are expert insulation contractors and possess an in depth knowledge of insulation materials – especially spray foam! Spray foam quickly expands, filling all gaps and voids. 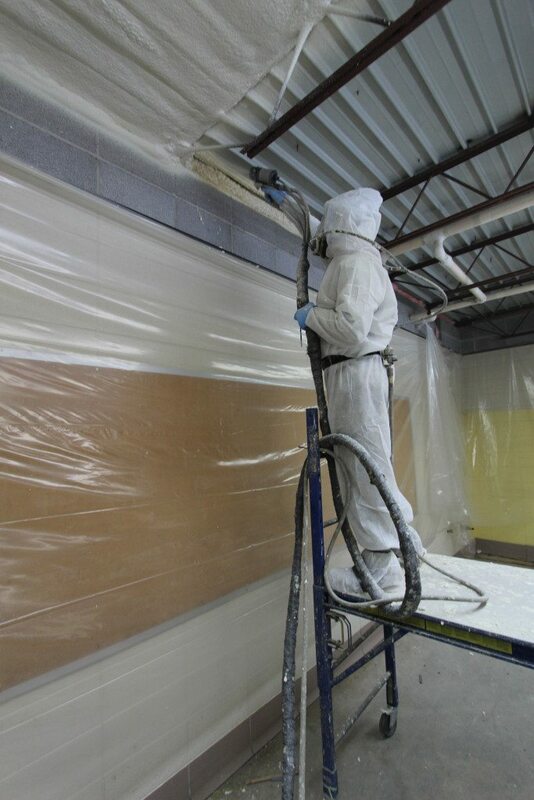 Here, Foam Engineers sprays foam in the gap between the wall and the ceiling, creating an air seal. 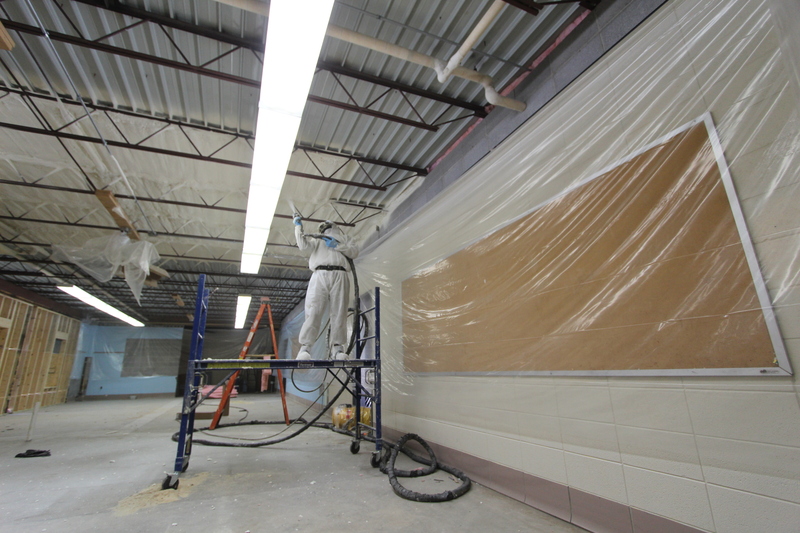 Creating an air barrier prevents air infiltration and exfiltration. Foam Engineers are certified energy auditors and can help pinpoint the areas where energy is being lost. Properly insulating a conditioned building produces amazing results, saving the owner money! The result is a highly efficient and economic structure. 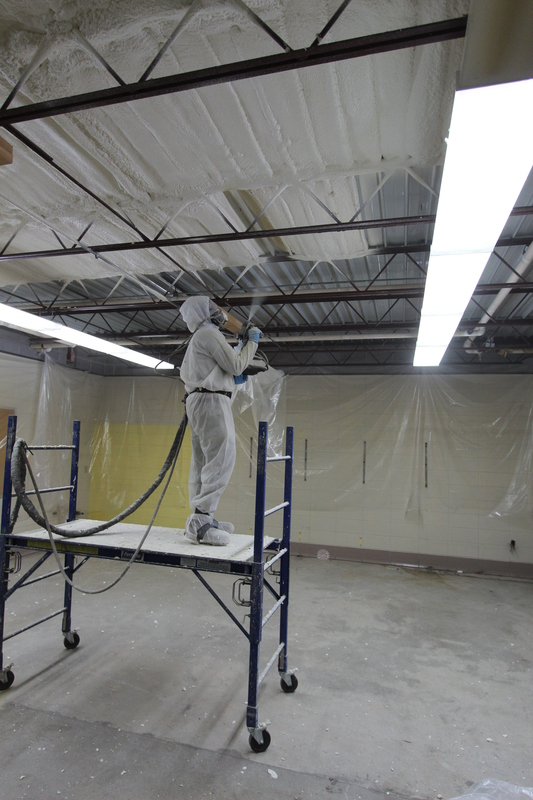 This is how the finished spray foam application will look. Instead of being totally smooth, it mimics the contour of the material is has been applied to.